This post is sponsored by Frangelico; although they provided the supplies for this post, all thoughts, opinions, and comments are my own — I'm not officially affiliated with the brand. You can check out Frangelico's website or Facebook page to learn more about the hazelnut liqueur. It's been a beautiful summer here in Portland, OR. The weather has been warm and beautiful, and the state's summer fruit and vegetable bounty has been plentiful. I've spent the last two months posting recipes that take advantage of the harvest: fruit marshmallows, cakes, pies, tarts, ice creams, sorbets and more. But sometimes, just sometimes, I really want some chocolate. Is that a surprise to anybody? I think one of my favorite things in the world is chocolate. A quick skim of my blog's recipe index and the posts that I've tagged "chocolate" reveals that I have almost 40 recipes that use chocolate. That's a crazy number, but one that I'm unapologetic for — because that's right folks, my name is Michelle and I am a chocoholic. When Frangelico reached out to me and asked me to develop a recipe for them, I was beyond excited. 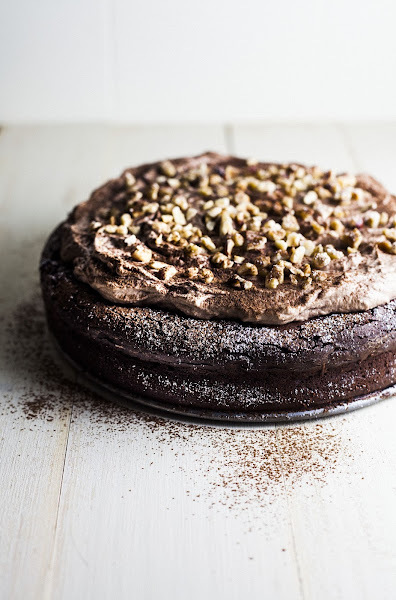 I've always been a big fan of baking with booze, and the combination of chocolate and hazelnut is one of my all-time favorites. 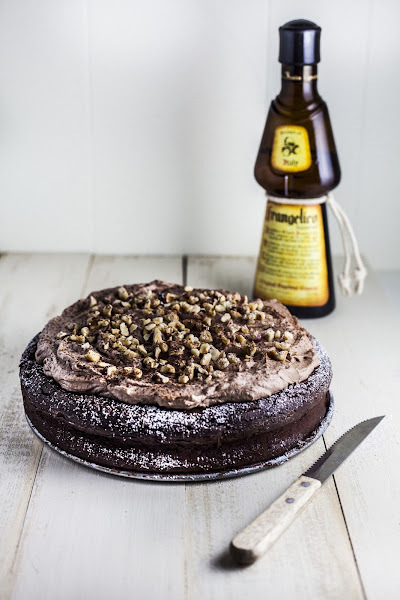 I've used Frangelico in other recipes in my blog before (anybody remember this awesome chocolate hazelnut crepe cake that I made for my mom's birthday a few years ago? ), to great success. Sure enough, right off the bat, my mind went crazy with ideas —with a bottle of Frangelico, I could infuse all my favorite chocolate recipes with a shot of hazelnut! Cheesecake, cream puffs, mousse... the possibilities were endless. A few weeks ago, one of my close friends was diagnosed with celiac disease, or, a severe gluten-allergy. Her doctor told her to cut out all gluten from her diet — something that nearly broke her heart, because she thrived off breads and pastas. The breads and pastas, she admitted to me, were the easy things to give up. There were plenty of other savory, delicious substitutes like meats and vegetables that made those carbs easy to miss. However, it was the sweets — the cakes, cupcakes and donuts — that she missed the most. Most gluten-free desserts were too "hippieish" and "crunchy-tasting" for her taste; almond and coconut flour could never hold a candle to the real thing. 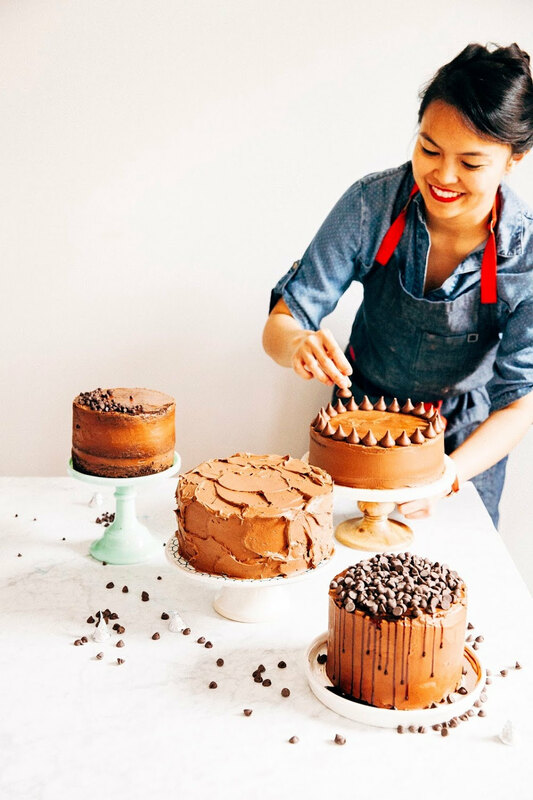 Four and a half weeks into her gluten-free diet, she was still jonesing for a slice of good ol' fashioned cake every weekend, enviously eyeing my dessert plate every time we went out to dinner. It seemed like her craving wasn't going away any time soon. So imagine the look on her face when I showed up with this cake at her doorstep. The look of delight on her face was immeasurable: "That's gluten-free? REALLY?! You mean, I can eat that without feeling terrible?" My listing of ingredients ("Chocolate, butter, eggs, sugar, Frangelico and nothing else, I promise") confirmed it. Together, we tucked into a slice: dense, crumbly, and chocolatey, it was like eating an edge brownie piece. And when topped off with creamy chocolate hazelnut whipped cream? Delicious. My friend declared that it was the closest thing to real cake that she'd had ever since she went gluten-free. With that statement, I gave my friend the rest of the cake. She texted me a day later that she'd finished the whole thing in a day — with no regrets. It's important to use a springform pan for this recipe — otherwise, good luck getting the cake out of the pan. The cool thing about this recipe is that it can taste completely different, depending on how you bake it. If you want something like you see in the pictures (a crumbly, dense, brownie-like textured cake — almost like eating a chocolate truffle), go ahead and follow my recipe instructions exactly as written. HOWEVER, if you want a creamier cake that has a texture more akin to a cheesecake, there's one extra step you need to do. Instead of just sticking the springform pan in the oven, carefully wrap the bottom of the springform pan with aluminum foil before sticking in in another, larger baker tin filled with warm water. The warm water should go up at least 2/3rds of the sides of the springform pan. This is called a bain-marie, and it will give your cake a creamier, almost cheesecake-like texture. In order to make this cake work and rise up, you need to cream the eggs and sugar for a good 10 minutes on high-speed until it's doubled in volume and is almost white in color. I know that it seems excessive to whip cream and sugar for 10 minutes, but it's essential for this cake. It's also super important that the eggs are at room temperature when you start whipping them, or again, the cake won't rise up properly. Don't worry if your cake cracks as it cools; most flourless cakes do that — it's part of their charm. You can check out my cracked cake top here. 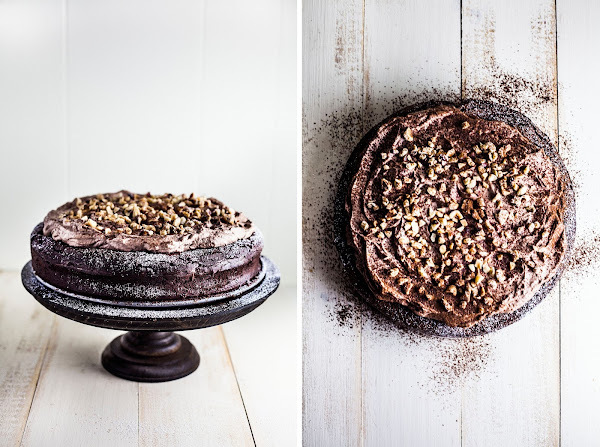 If the cracks bother you, simply cover it up with the chocolate hazelnut whipped cream! This cake is best served luke-warm, about an hour after it's been taken out of the oven. Preheat the oven to 350 (F) and spray the sides and bottom of your springform pan liberally with cooking spray. In a double boiler (or, a glass bowl resting on top of a pan with boiling water), combine 1 pound semisweet chocolate, 1 cup (2 sticks) unsalted butter, 1/3 cup Frangelico, and 1 teaspoon vanilla extract. Use a rubber spatula to constantly stir the mixture until melted and smooth. Once the mixture is smooth, remove from heat and cool to lukewarm. In the bowl of a freestanding electric mixer fitted with a whisk attachment, combine 7 large eggs and 1 cup granulated sugar. Whisk on medium-high speed for 10 minutes, or until thick and pale and the mixture has doubled in volume. Use a rubber spatula to fold 1/3 of egg mixture into the lukewarm chocolate mixture, before folding the remaining egg mixture into the chocolate mixture. Transfer the batter into a springform pan, using a rubber spatula to smooth the top. Bake for 55 minutes, or until a skewer inserted into the center of the cake comes out with only a few moist crumbs attached. 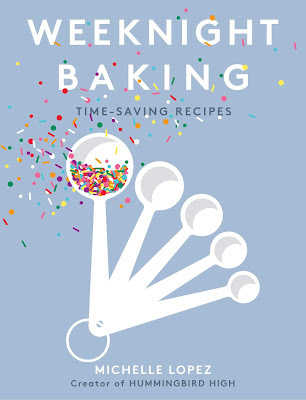 Once the cake is finished baking, allow to cool on a wire rack, using an offset spatula to run around the pan's sides (to loosen the cake) immediately after removing from the oven. Once the cake has cooled and you're ready to serve, make the whipped cream. In the bowl of a freestanding electric mixer with a whisk attachment, combine 1 1/3 cups heavy whipping cream, 3 tablespoons granulated sugar, 3 tablespoons unsweetened cocoa powder, 1 teaspoon vanilla extract, and 2 tablespoons Frangelico. Whisk until the cream starts to create soft peaks. 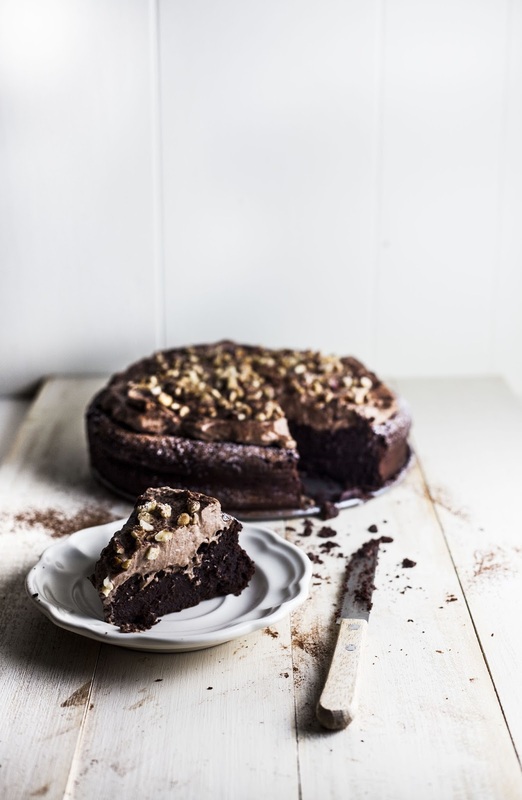 Spoon over the flourless cake, garnishing with 1/3 cup chopped hazelnuts, and serve immediately. YUM, hazelnut squared! 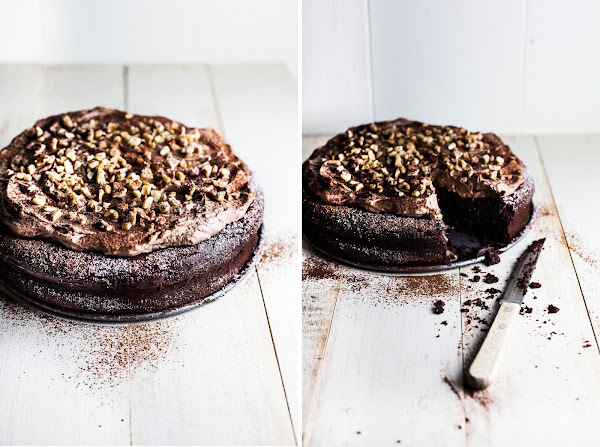 I actually don't like chocolate by itself (so I guess I am NOT a chocoholic), but add nuts to it and suddenly it's all good, so this cake is right up my alley. I also like the option of brownie or cheesecake texture form! i used to live with a roommate who had celiac and was saddened by the lack of treats she got to eat, though her white bean coffee cake was even better than the real thing. flourless chocolate cakes were also made every once in awhile; i wish i had this recipe back then! also, one not-so-fun-fact about cooking for celiac friends is that the gluten seeps into the non stick surfaces of pans and some plastics and even that can make people with the disease sick. I want this cake to exist in my world for one single day! It makes me happy just looking at it! I've been craving chocolate all day and would happily eat this right now! Think I might bake this for my sister for her birthday this year. She's not supposed to have gluten either, and this looks delicious! it was his wife’s birthday and he needed something special so we made this Hazelnut cake for him in heart shape. those guys loved it. thank you for putting this online. thanks again. Hi! Could I replace the Frangelico for something else? I'm thinking of doind this cake for my little sister birthday. Can I replace it or just skip it? You could replace it with vanilla or any other liqueur of your choice (Grand Marnier would be a good one, if you like the chocolate-orange combo), but you would lose the hazelnut flavor. Let me know if that makes sense! I made this last night, and it was delicious! Or I should say, I attempted to make this. I had so many issues (sigh). But it was really worth it. Refrigerating overnight really brought out the depth of flavor in the whipped cream: yum. We didn't have any hazelnut, so I used Earl Grey Tea. Definitely not what was intended, but I thought it was good. I couldn't tell from the directions: should I remove the pan immediately, or let the cake cool in the pan on the wire rack? Or take off just the ring? I did loosen the edges with a spatula right away, as suggested. I wanted to use the foil and get more of a cheesecake texture, but water kept leaking into the pan (I tested it first). I used two layers of foil and tried to keep them high on the edges. Do you have success with this method? I beat my room temperature eggs and sugar in a KitchenAid stand mixer, on medium high. But they doubled in size long before they were thick and pale. By 10 minutes, I had enough egg to fill 2 springform pans! I folded them into the chocolate mixture, but it was so voluminous that I cheated and stirred it a little to try to get it to collapse a bit. Eventually I just ended up using about 2/3 of the mixture, and it still rose a good inch above the pan. Any ideas as to what I did wrong?!?! re: Cooling the cake. Allow the cake to cool in its pan on the wire rack. But run a knife around the edges first thing after taking it out of the oven. Does that make sense? re: Foil. I also tend to use double layers + high walls, other wise, yep, water can leak into the pan. re: Eggs. Sounds like you overwhipped your eggs! You might have been beating them on the fastest speed, whereas I used speed #6 on my KitchenAid.